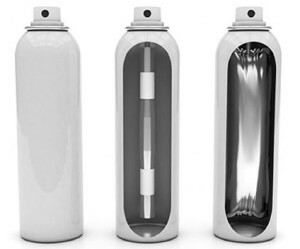 We are thrilled to announce the introduction of a new, state of art aerosol filling alternative and this eco-friendly replacement to traditional aerosol is known as Bag-On-Valve (BOV). We believe the list of advantages to BOV are endless, for example, the product is completely separated in laminated layered bags, offering a superior barrier which eliminates the possibility of oxidation from the traditional hydrocarbon propellant aerosols. This separation keeps the product pure, the packaging is 100% recyclable, Non-flammable propellants are used; no explosive or inhalation of nasty gasses as we use filtered compressed air, plus no shaking before use coupled with the ability to spray from any angle; 360°. Bag-On-Valve Applications possibilities include Sun Care – SPF’s, Gels, Self-Tanning Sprays, Personal Hygiene, First Aid Sprays, Baby Care, Air Fresheners & Odour Eliminators to name a few.